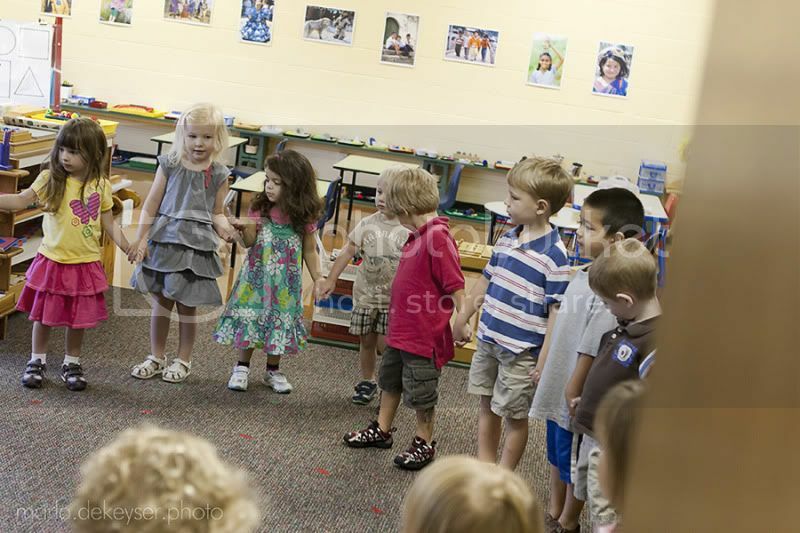 We started Preschool this week . 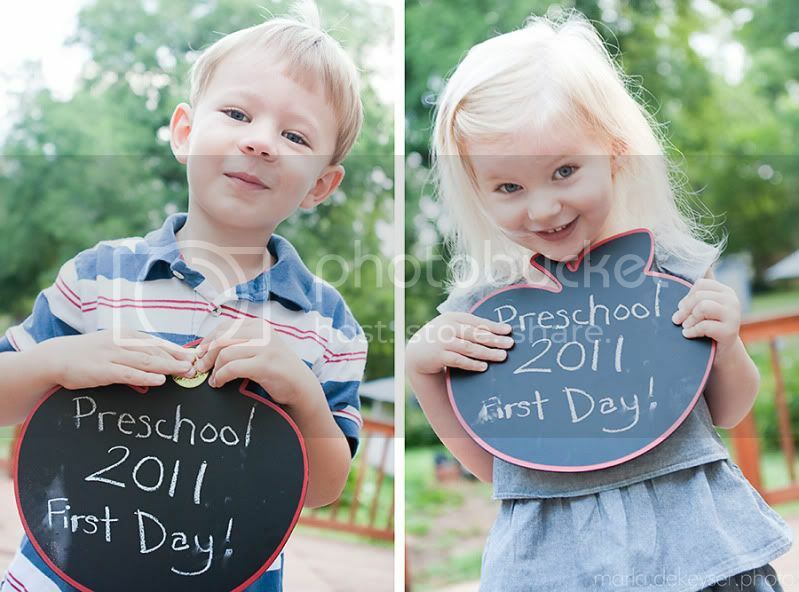 . . and although I KNOW they are old enough, it's just hard to believe that my tiny babies are in school. 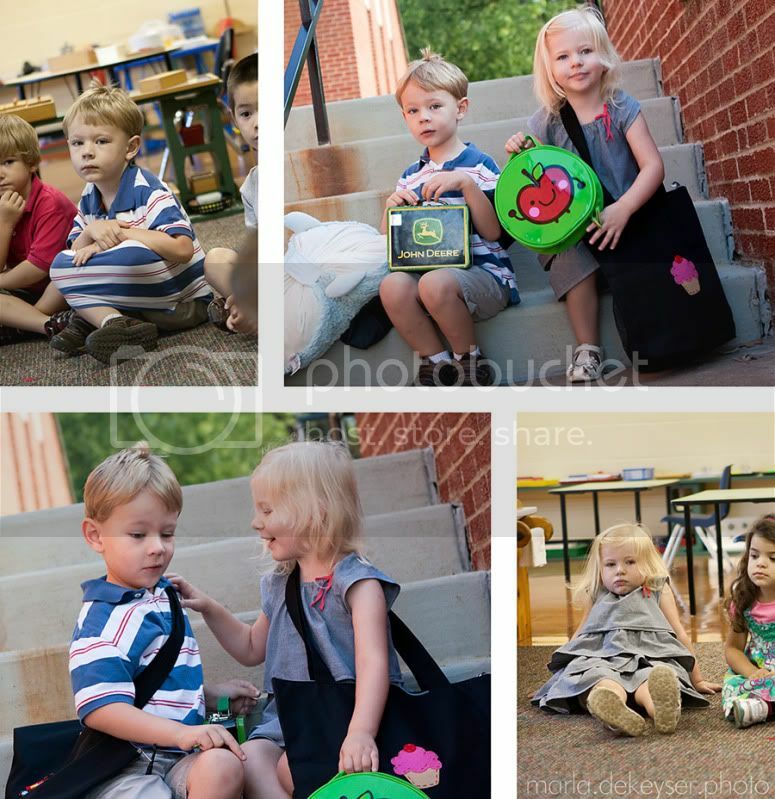 My boy went to the same preschool last year, but this is my little lady's first year. She did great (not even a little tear or look of uncertainty). I overheard her telling a little girl "My Mom put medicine on my bottom." (referring to benedryl cream from all the mosquito bites she got while running around the yard in her cape and undies the night before. . . ). I had to giggle and think to myself, "It's going to be an interesting year!" My boy's an old pro. I was told he made new friends, and he came home excited to see some of his old friends from last school year. Really, his mood seemed entirely different - happier & lighter, and I don't know if that's because his sister was with him or if he was just excited to see some familiar faces. Perhaps a little of both? Well, it's going to be an interesting year, for sure, and I'm really looking forward to them sharing some of the same experiences.